A Quote: "What sunshine is to flowers, smiles are to humanity. These are but trifles, to be sure; but scattered along life's pathway, the good they do is inconceivable." 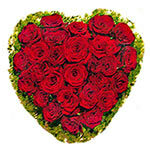 Product description: Send this wonderfull heart from passioned red roses to your beloved one's and imagine the suprise and joy when they get such a romantic gift. 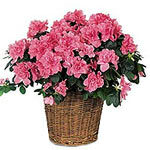 With clusters of delicate flowers and lovely evergreen leaves, this blooming plant really blossoms. The perfect bit of cheer for home or office. 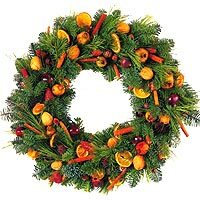 Wreath of fir, pine and native fruits. Orange slices and cinnamon give the fragrance of New Year. Natural and dried components may be replaced by other similar. 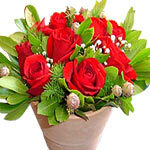 Send flowers to Athens, from our online florist. 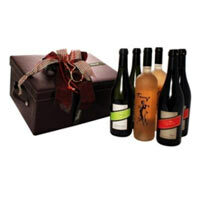 A classic gift, this Adorable Vintage Wine Collection Gift Hamper makes any celebration much more grander. 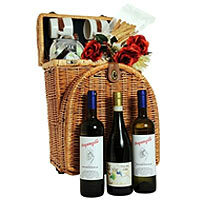 This breathtaking Hamper is decked with Two Bottles of Argyriou Sauvignon Blanc Dry White Wine, Two of Bottles Argyriou Tango Rose Dry Rosé Wine and Two Bottles of Argyriou Merlot Dry Red Wine. 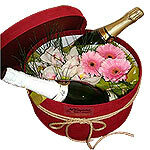 Celebrate life's most cherished moments with this collection of orchids, daisies and 2 bottles of sparkling wine. They're the perefect gift for any occasion you want to recognize. A contemporary presentation of red roses with mix foliage. It´s simply the right choice for that special someone.